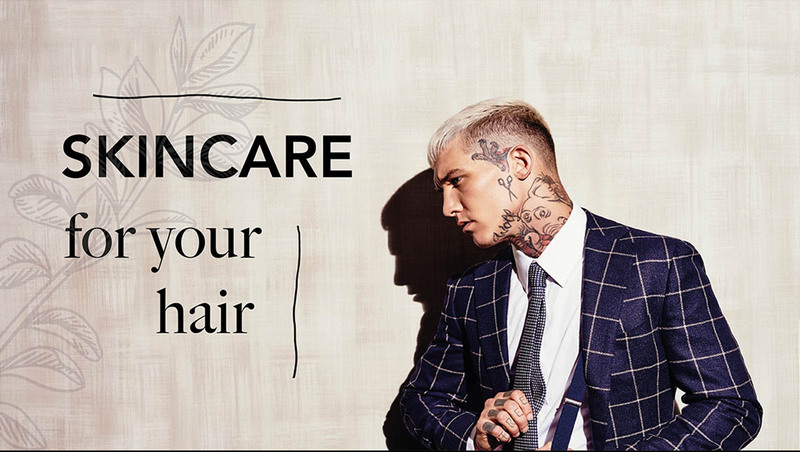 As we welcome the newest members to the team and working closely with renowned haircare brand Kevin Murphy, our new unisex Session Salon takes centre stage, delivering all of the latest styles and products for your hairdressing needs. We wanted to create more than just another hair salon. We wanted to create an amazing new space where clients can come and totally relax, enjoying a bespoke service provided by a fun and friendly team who will cater for your ever need allowing you to enjoy the whole experience from the moment you enter the door. We also wanted to find people and brands that reflected our mission to become more environmentally aware and responsible without compromising on quality. 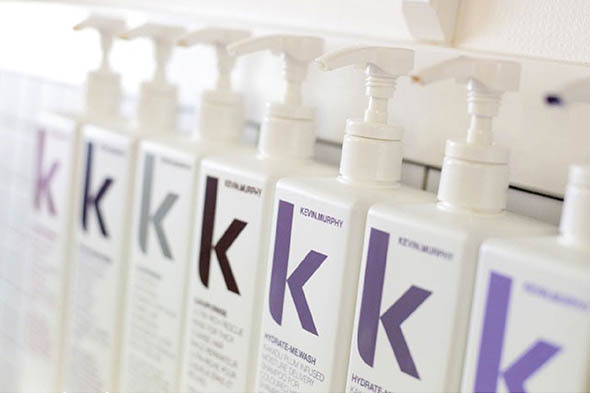 We found this with the renowned Australian haircare brand Kevin Murphy. 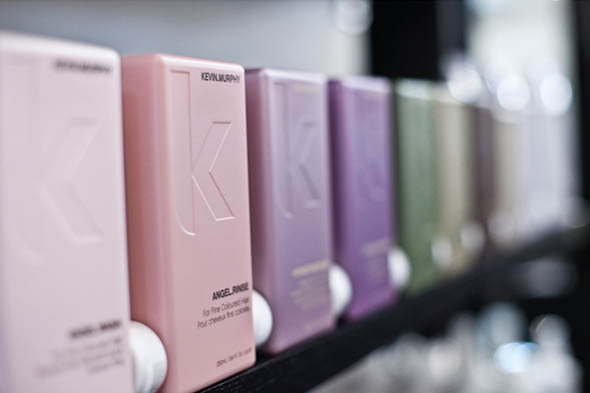 Unsatisfed with the performance of the products he was being given, Kevin Murphy one of the most respected ad sough after session stylists, recognised the need for weightless products that provided performance, strength and longevity. How was he to do this?... Using skincare technology delivering weightless texture. Passionate about the importance of using products that do not harm yourself or the environment, Kevin realised there was not a product line that satisfied all of these needs. Born from the same philosophy as skincare, Kevin Murphy products take a totally different approach to haircare and are weightlessly designed to deliver performance, strength and longevity. When searching the world for ingredients, they looked for companies that use micro cultivation, organic growing practices, or ecologically sound wild harvesting techniques to ensure the Kevin Murphy range is of the very highest natural quality. This was achieved using moisturisers from Mango butter and Murumuru butter to smooth the cuticles and soften the hair. Extracts from Peruvian Bark, Baobab, Bamboo and Orange Blossom to infuse the hair with weightless moisture, and antioxidants from Kakadu Plum, Orchid, Lotus Flower and Desert Lime to reduce breakage and repair chemical damage naturally. PETA the world’s largest animal rights organisation has proudly accepted Kevin Murphy to be listed as one of their recommended ‘Cruelty Free’ companies. Kevin Murphy care about the environment and recognize the seriousness of dangerous climate change. We make every effort to do our part to help the environment by utilizing packaging that is recyclable or biodegradable. We use natural ingredients from sources that are sustainable and renewable and are harvested utilising methods that do not cause any harm to the environment. You can rest assured we take just as much care with your hair when it comes to colour, delivering the best results without the ammonia. Color Me is born from Kevin Murphy’s vision of fusing session work, fashion and hair colour. This compact color line delivers high performance, natural looking results and optimum colour functionality. An artful blend of gentle and ‘from the earth’ ingredients naturally moisturise, rejuvenate and impart incredible shine without having to further compromise the environment. What goes inside the tube is just as important as the colour it creates. The choices we made are PPD free, ammonia free and naturally derived ingredients like aloe vera, honey, shea butter and pomegranate. We know that choosing a hair colour can be big decision and one not taken lightly. Imagine being able to try out your new colour before taking the plunge...! Introducing Fringe Benefits. Fringe Benefits is a great visual consultation tool for personalised hair colour featuring premium fringes in the most desired shades designed exclusively for Color Me. Capturing a variety of depths and reflects in warm, cool and natural tones offering a representation of various colour categories. Each fringe is made of a blend of human and synthetic hair delivering a natural multi-tonal result designed to blend seamlessly with your own hair. Fringe Benefits levels the communication playing field by providing a visual so you can see and preview your desired colour before you commit, ensuring confidence with your colour selection.